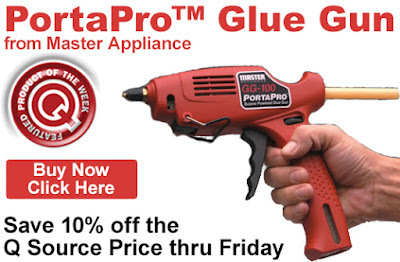 Save an extra 10% off the Q Source price of Master Appliance’s PortaPro™ Glue Gun. Get this discount when you add an eligible product to your shopping cart. Our Featured Product promo is valid Monday, July 31, 2017 and runs through Friday, August 4, 2017. The PortaPro Glue Gun (also available in a kit) offers portability, industrial power, and durability. The unit can reach operating temperature in less than four minutes and will last 140 minutes on a full charge. 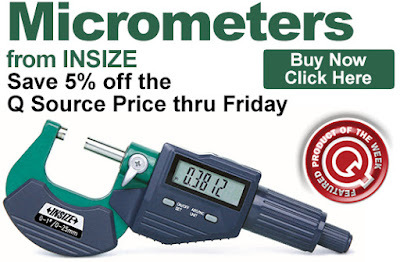 For complete details, please see the product page at QSource.com. Click here to shop for the Master Appliance PortaPro Glue Gun (or PortaPro Kit). For further questions, call us (800-966-6020), or send us an email. Please note: This promo is valid only at QSource.com and expires on Friday, August 4, 2017. 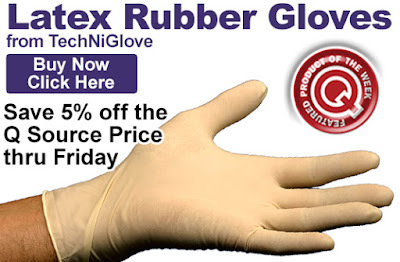 Save an extra 5% off the Q Source price of TechNiGlove Latex Rubber Gloves. Get this discount when you add eligible gloves to your shopping cart. Our Featured Product promo is valid Monday, July 24, 2017 and runs through Friday, July 28, 2017. These powder- and silicone-free, ambidextrous class 100 gloves are fully textured from wrist to fingertip, made from a unique chlorination process that eliminates the odor of most latex gloves, and are manufactured from the highest-grade latex available. Please see the individual product page for further details. Click here to shop for TechNiGlove Latex Rubber Gloves. For further questions, call us (800-966-6020), or send us an email. Please note: This promo is valid only at QSource.com and expires on Friday, July 28, 2017. Leading off this week’s column: Tektronix’ post celebrated the Man Out of Time, Nikola Tesla’s birthday. Much of our modern society would not exist if not for his amazing inventions. For those of you who know what a kilogram is…not so fast. Agilent Technologies’ post looks at the upcoming change to the official standard for this globally used unit of measure. Did you know that workplace falls account for 16% of workers comp claims? Wearwell’s post presents ways to prevent such falls and create a safer workplace. Do you ever sing the ABCs when you wash your hands? Puritan’s post offers such advice from The Norovirus Woman, Lee Ann Jaykus. Here's an important post from Laughing Squid for those who need to know how to properly greet people from different cultures. And we close out this week’s column with our post about using our live chat option. 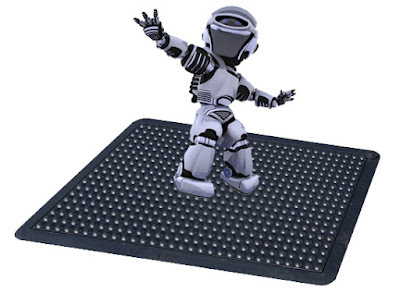 Leading off this week’s column: JBC Soldering Tools shared a post that predicts that the wearables market will grow to more than 240 million units worldwide by 2021 as technology improves and prices decline. 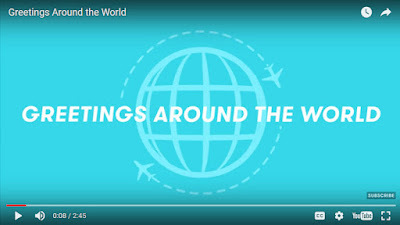 Are you reading this on your Smart Watch? 3M’s post offers a story of the perseverance of scientist Tim Hoopman in his goal of creating safer traffic signage for road safety. The event may be over, but this post by Weller still gives you a beautiful peek at some of the amazing eye candy seen at the Maker Faire Nantes. Origami gardens, light painting, humanoid robots? Yes, please! Digital technology continues to change our world and this post from Eclipse Tools focuses on how things like mobile technology are impacting the building and construction industries. 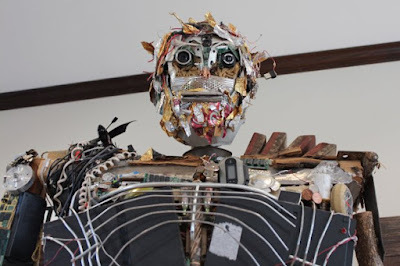 A 7-foot tall robot made of trash? Check out Make’s post to learn about the collection of useless items that is Phillip the Robot. And we close out this week’s column with our post about anti-fatigue floor mats. Leading off this week’s column: You may want to sit down for this post from Agilent Technologies about a study that says french fries could be deadly. Will NFL teams further embrace advanced analytics data? Zebra Technologies’ post looks at how the new Denver Broncos coach will use such information. 3D Printing Industry’s post looks at a record setting graphene aerogel that is the lightest 3D-printed material in the world and offers improvements for electronics and batteries. This National Nuclear Security Administration post confirms that not only is Jupiter the largest planet in our Solar System, it is also the oldest. In an example of what inspires a great invention, Laughing Squid’s post tells about why Philippe Kahn created the first camera phone twenty years ago. 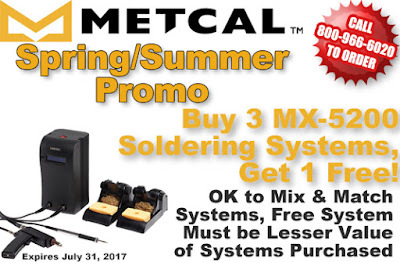 And we close out this week’s column with our post about Metcal’s Spring/Summer Promo (Buy 3 MX-5200 Soldering Systems and Get 1 Free). 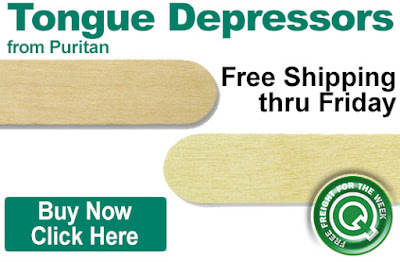 Get Free Freight on Puritan Tongue Depressors. 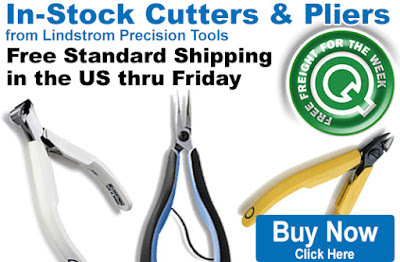 Get this discount when you add an eligible tongue depressor to your shopping cart. Our Free Freight promo is valid Monday, July 3, 2017 and runs through Friday, July 7, 2017. These wooden tongue depressors are used for applications including mixing and dispensing medicine, oral patient care, veterinary exams, healthy & beauty, and others. They are available in a number of sizes, some with a choice of flavors, and one can have a custom imprint added by Puritan. For complete details, please see the individual products pages for each tongue depressor. Click here to shop for Puritan Tongue Depressors. For further questions, call us (800-966-6020), or send us an email. Please note: This promo is valid only at QSource.com and expires on Friday, July 7, 2017.